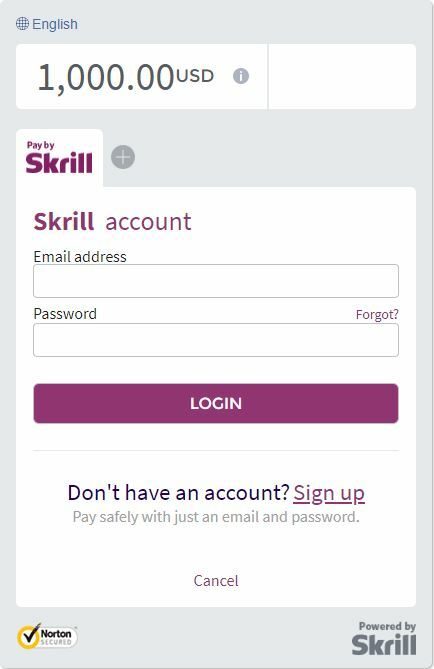 Select ‘Skrill’ on the left-hand side and "Ethereum (ETH)" on the right of the Paybis home page. 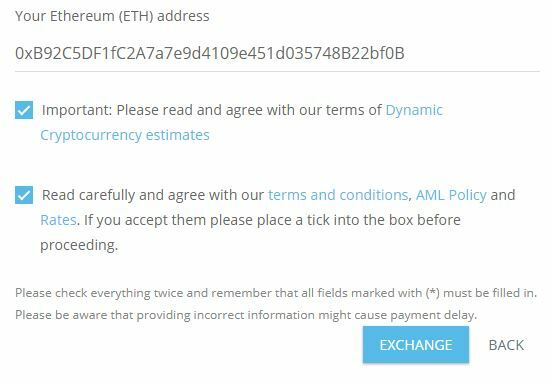 Your Ethereum (ETH) address - please ensure that your Ethereum (ETH) address is correct, as all transactions are irreversible, and it will not be possible to change the address later on. 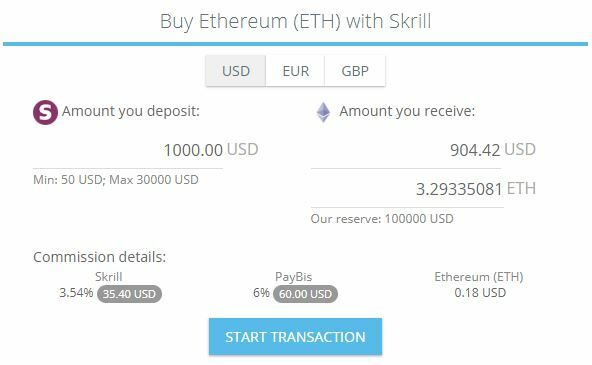 Ethereum (ETH) payouts are instant.